With the slow John Day Pool sturgeon fishing, we decided to switch gears and go above McNary for some steelhead action. This section of river has been closed to steelhead fishing all fall. 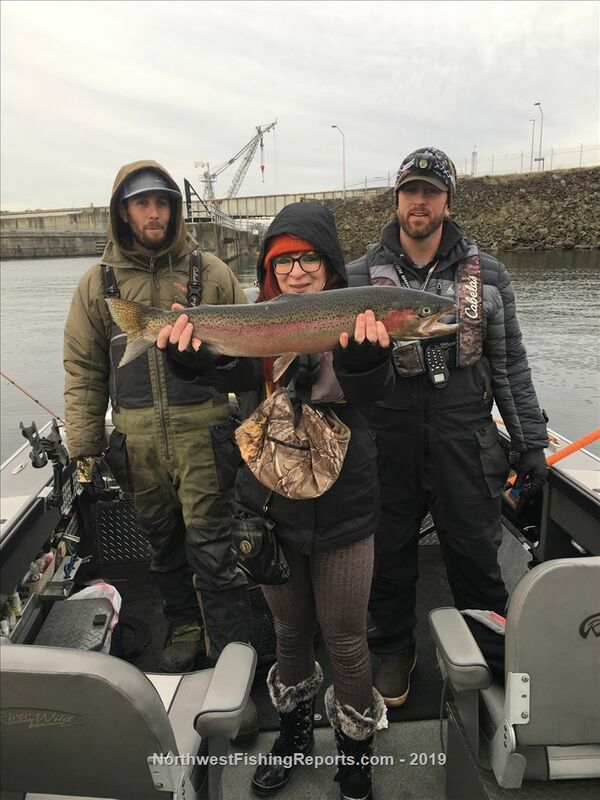 It opened to fishing on January 1st, and the fishing was very good. After a few days of a lot of traffic, the fishing has slowed, but there are still a few fish around to catch. We fished shrimp under a float and covered water on both the Oregon side of the river and the Washington side. We were rewarded with a nice hatchery buck for one of my clients! Her first ever steelhead. We missed another and enjoyed some great time on the water. We will be back to chasing sturgeon this week with some warmer weather, hopefully improving the bite!